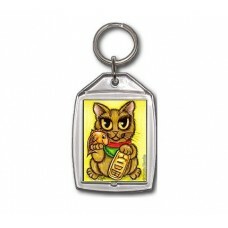 Maneki Neko Wealth Cat - Keychain - Maneki Neko Cats, Everyone needs a little luck in their life! 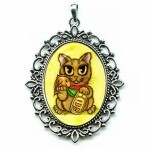 Th..
Maneki Neko Wealth Cat - Magnet - Maneki Neko Cats, Everyone needs a little luck in their life! Thes..
Maneki Neko Wealth Cat - Ring - Maneki Neko Cats, Everyone needs a little luck in their life! 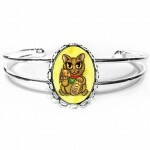 These ..
Maneki Neko Wealth Cat - Bracelet - Maneki Neko Cats, Everyone needs a little luck in their life! 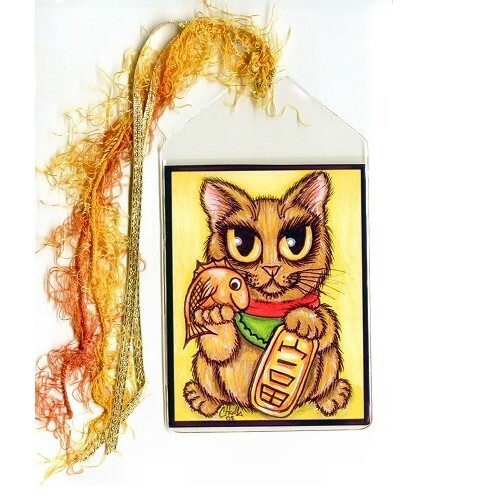 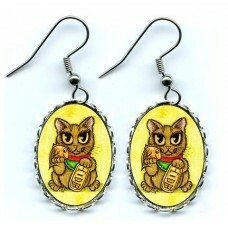 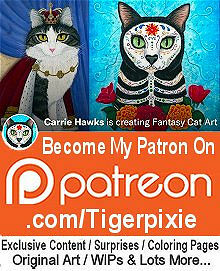 Th..
Maneki Neko Wealth Cat - Earrings - Wealth kitty is holding a coin that says "Wealth", a Tai F..
Maneki Neko Wealth Cat - Bookmark - Maneki Neko Cats, Everyone needs a little luck in their life! These adorable little Japanese Beckoning Lucky Cats are said to bring good luck to their owners! 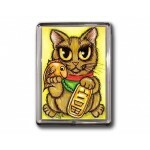 Wealth kitty is holding a coin that says "Wealth", a Tai Fish and the cat is Golden which all represent wealth and prosperity for his owner. Maneki Neko Wealth Cat - Keychain - Maneki Neko Cats, Everyone needs a little luck in their life! These adorable little Japanese Beckoning Lucky Cats ..
Maneki Neko Wealth Cat - Magnet - Maneki Neko Cats, Everyone needs a little luck in their life! 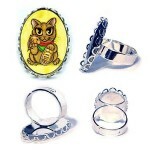 These adorable little Japanese Beckoning Lucky Cats ar..
Maneki Neko Wealth Cat - Ring - Maneki Neko Cats, Everyone needs a little luck in their life! These adorable little Japanese Beckoning Lucky Cats are ..
Maneki Neko Wealth Cat - Bracelet - Maneki Neko Cats, Everyone needs a little luck in their life! 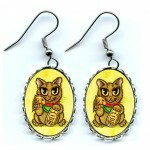 These adorable little Japanese Beckoning Lucky Cats ..
Maneki Neko Wealth Cat - Earrings - Wealth kitty is holding a coin that says "Wealth", a Tai Fish and the cat is Golden which all represent weal..
Maneki Neko Wealth Cat - Cameo Necklace - Wealth kitty is holding a coin that says "Wealth", a Tai Fish and the cat is Golden which all represent weal..